There’s plenty of reasons why Thailand is one of the most popular spots for backpackers, and it’s many varied and beautiful islands are one of the big draws for many travellers to the Land of Smiles. For backpackers, island hopping offers a sense of freedom and adventure rarely found. Hop from turquoise waters to rugged mountains to teeming forests to exciting nightlife – there’s never a dull day on the Thai islands. With so many islands to choose from, it can take some planning to plot your perfect island hoping trip. Read on to find out our favourite islands for backpacking in Thailand to help you plan your dream backpacking trip. Ko Chang is home to some of Thailand’s most beautiful, and least developed, landscapes. The second largest of Thailand’s islands, Ko Chang is covered in relatively untouched forests that are ideal for high energy treks and walks with plenty of wildlife to explore. The islands gorgeous beaches are great for swimming and snorkelling; clear turquoise, calm seas and golden beaches – heaven! Ko Samui is a great place to start your backpacking trip! The island has it’s own airport, making it really easy to travel to from other parts of Thailand and international destinations. The stunning natural beaches are surrounded restaurants, bars & shops, making it easier to acclimatise to backpacking and allowing solo travellers to meet some new travel buddies. Ko Samui has a great balance between relaxation and nightlife, making it a great stop for backpackers. Close to Ko Samui, and reachable by a short ferry ride, Ko Pha-Ngan is much-loved by backpackers. The island is possibly our favourite in Thailand, the beaches are stunning and there is lush rainforests to trek in. It really is a special destination – excellent food, incredible nature and some of the clearest waters you’ll ever swim in. Add it to your itinerary immediately! Ko Pha-Ngan is also home to the world renowned Full Moon Party, a monthly beach party during the full moon. It’s not for everyone, but it’s certainly a sight to behold – fire dancers, stilt walkers, DJs, and a lot of drink go into this one-of-a-kind party of a lifetime. This small island has plenty of fun and relaxation for backpackers. 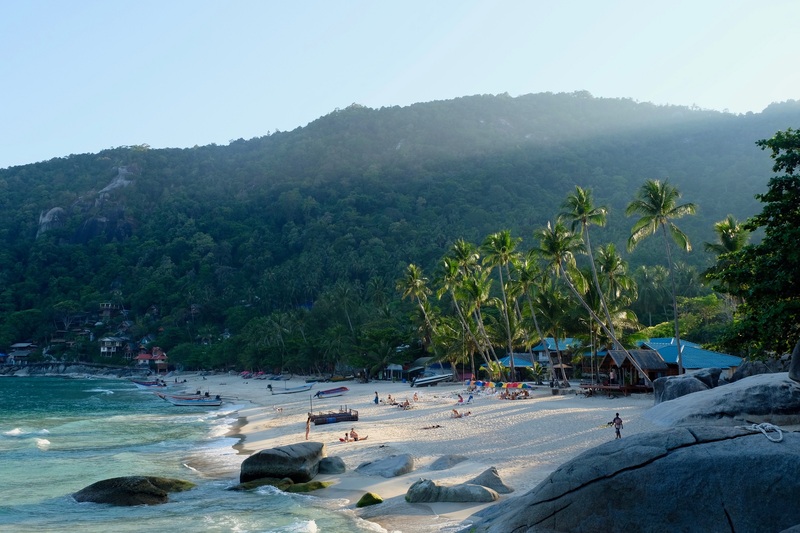 Koh Tao is surrounded by tropical reefs, teeming with marine life to explore. Huts and villas surround perfect golden beaches, where you can take a yoga course or just relax in a hammock amongst the palms. 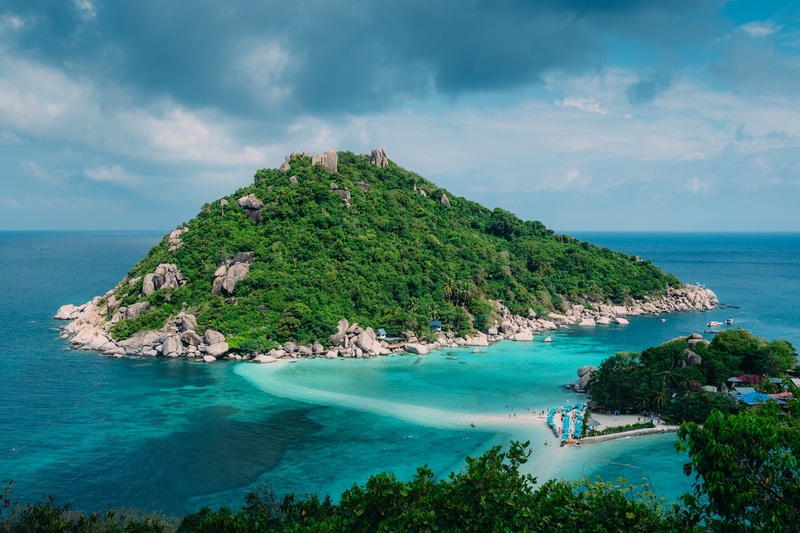 A truly charming little island, Koh Tao is an idyllic island packed with great experiences – and there’s great nightlife too! Before you head off on your backpacking adventure in Thailand, make sure you book a travel health consultation at your nearest Nomad clinic. Our expert travel nurses will advise on which vaccinations and malaria tablets you need for the islands you’re hopping around on, plus loads of other great advice on the risks you should prepared for when backpacking.